#ENTriChat "Short Course Triathlon- Go Fast! Have Fun!" 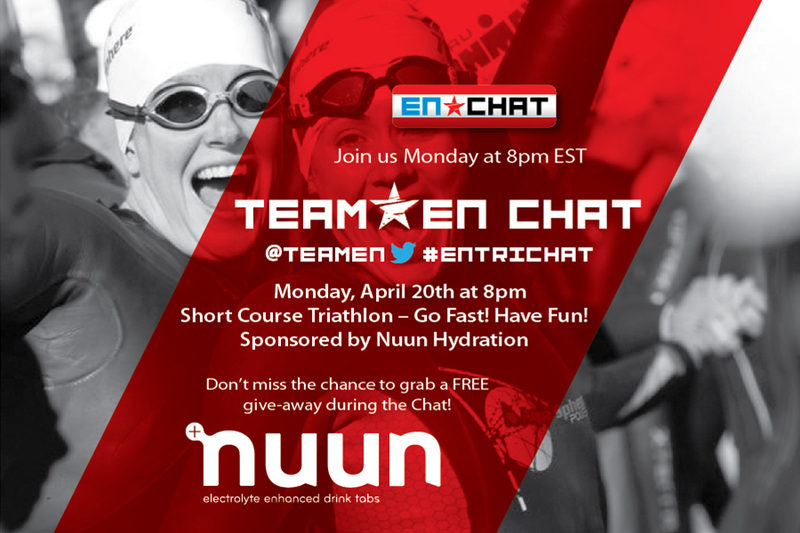 Every 1st and 3rd Monday, Endurance Nation hosts an hour long Twitter chat with a different topic and sponsor every chat. Our most recent chat was with NUUN. Nuun, was the first company to separate electrolyte replacement from carbohydrates. Before Nuun, if you wanted electrolytes, the result was a bottle full of sugar. With their simple, self-dissolving, sugar-free electrolyte tab, they revolutionized the sports drink forever. Visit their website nuun.com for more information. View the chat recap below with mounds of information for racing short course triathlons.